The new 185,200 square-foot Army National Guard Readiness Center and Army Aviation Support Facility and related aeronautical infrastructure includes maintenance hangars, administration and education space along with new ramps and taxiways to support the helicopter mission which includes ten (10) UH-60 Blackhawk helicopters. 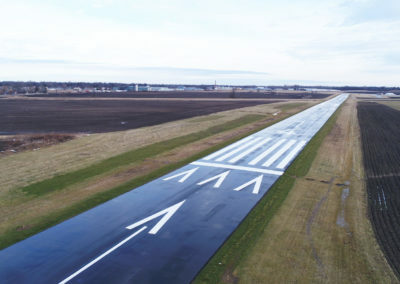 In the beginning, CMT assisted the Greater Kankakee Airport (IKK) and the Illinois National Guard in a site selection process for the new base. 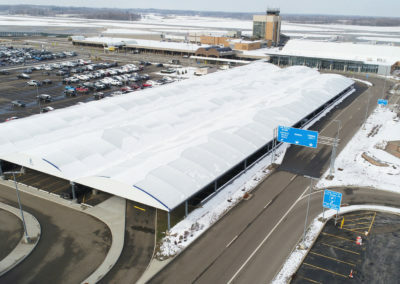 Federal Aviation Administration (FAA) and Illinois Department of Transportation (IDOT), Department of Aeronautic approvals were coordinated by CMT through site plans, AWOS airspace documents, safety plans, a revised Airport Layout Plan and an environmental assessment. Then, as a member of the Bailey Edward design team, CMT provided civil site design along with utility coordination services for the over 50-acre project area. 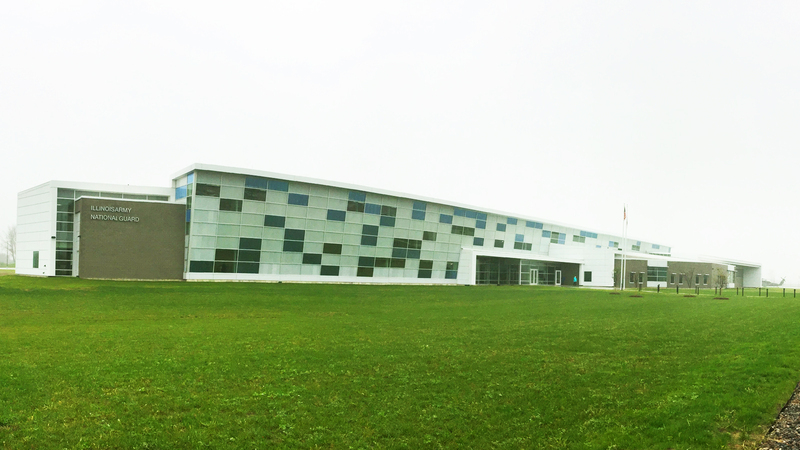 This represents $10 million of the over $64 million project. Lighting for roadways and parking lots with dual light levels. 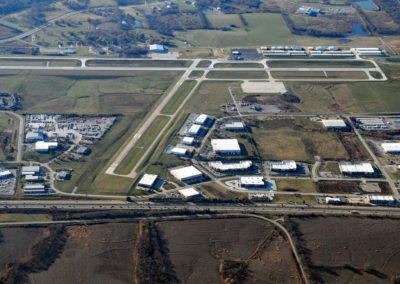 Additional components of the project consist of a military loading ramp, exterior aircraft engine washing facility, aviation fuel storage and dispensing (25,000 gallon tank), apron snow melt system, the relocation of the automated weather observing system (AWOS), perimeter fencing and security booth checkpoint, 100-foot wide taxiway gate and landscape design. The economic impact of the new base includes introduction of 200 soldiers to the area and hiring 40 full-time employees from the local community.